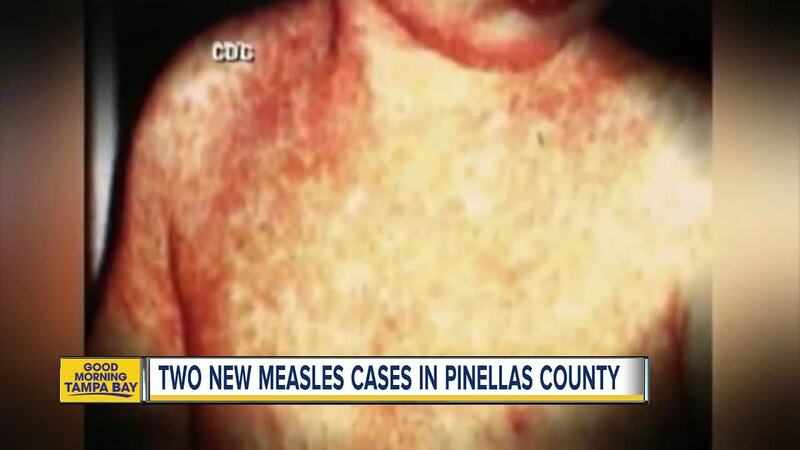 PINELLAS COUNTY, Fla. — Two additional cases of the measles have been reported in Pinellas County. The two people impacted live in the same household and were unvaccinated as well. These cases are separate from the case reported on Monday when an unvaccinated child contracted the disease. The infection was acquired locally and the source has not been identified, according to a release. 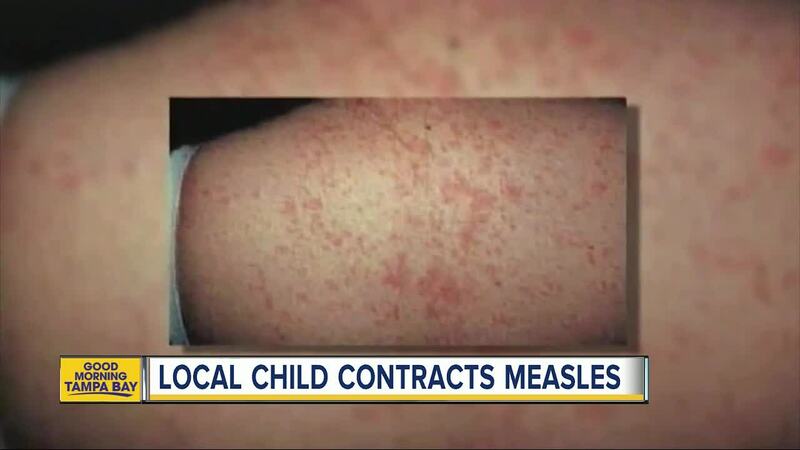 Health experts are working to identify and notify those who were potentially exposed to measles. The age of the child has not been released. Hospital officials at Morton Plant Hospital in Clearwater confirmed the child was treated in the emergency room. "We're in the middle of an investigation to find places where the child has been to make sure we close the loop and find anyone who may have been exposed," said Maggie Hall, Florida Department of Health in Pinellas County. Measles is a virus that is easily spread by air droplets when infected persons breathe, cough, or sneeze. The first symptoms are a high fever that may spike to 105F, cough, runny nose and red, watery eyes. These symptoms are followed by a blotchy rash that spreads from the head to the feet. The Department of Health says the best way to protect yourself against the measles is to get vaccinated. Measles is a potentially severe disease, especially young children and persons with compromised immune systems. 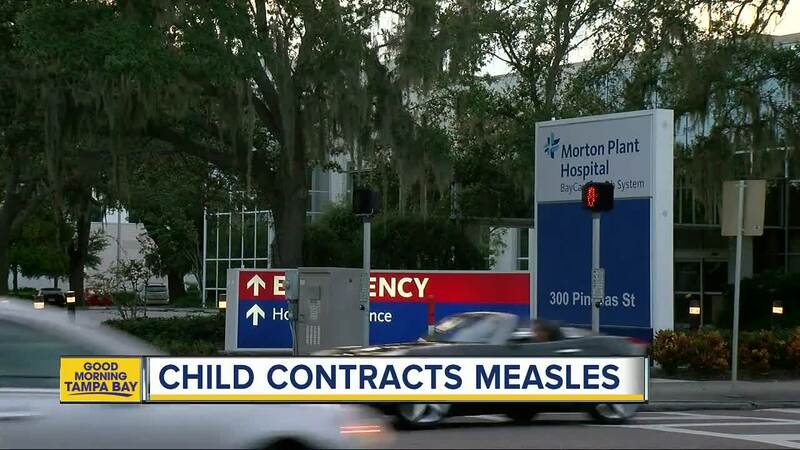 "We are continuing to investigate, but we would like families to know that their children could be exposed to diseases like measles anywhere and unless they're protected with vaccination they are risking potentially serious health effects for their child," said DOH-Pinellas Director Dr. Ulyee Choe, an infectious disease specialist. "We encourage all parents to fully vaccinate their children to protect them from diseases like measles." 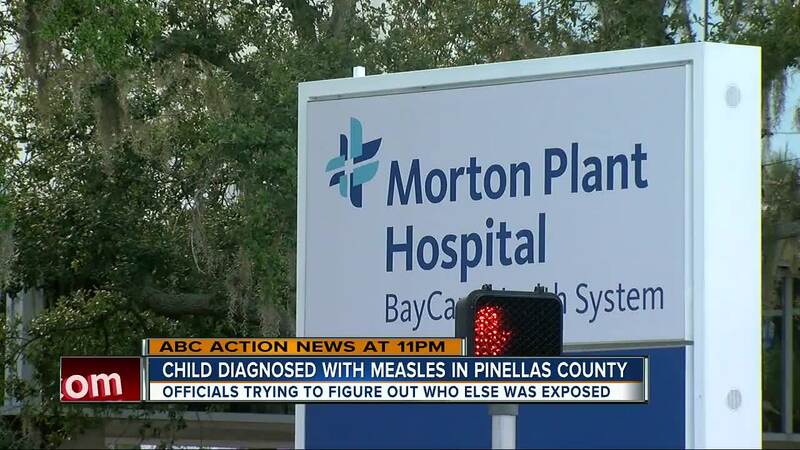 Health care providers are being asked to immediately report suspected cases of measles to the Pinellas Department of Health.